Patchy fog and light rain will give way to cloudy conditions the rest of Wednesday, according to the National Weather Service in Brownsville. Highs in the Rio Grande Valley will mostly hover around the mid to upper 60s. 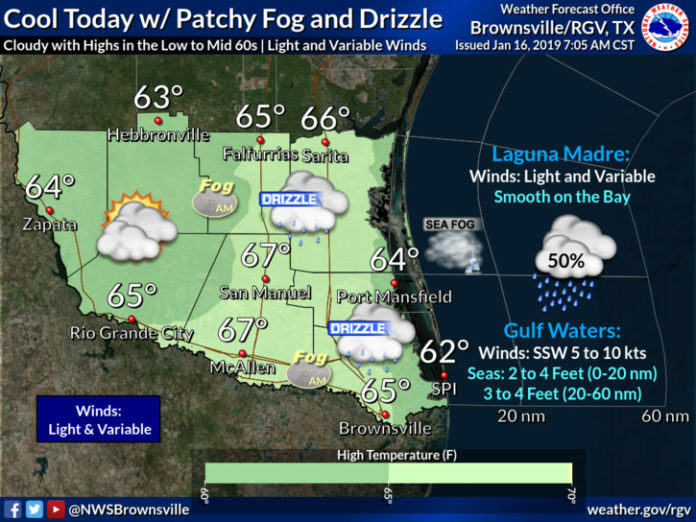 McAllen should see a high of 67 while Brownsville is expected to reach 65. Temperatures will warm up the next two days with highs in the upper 70s and possibly in the low 80s by Friday.